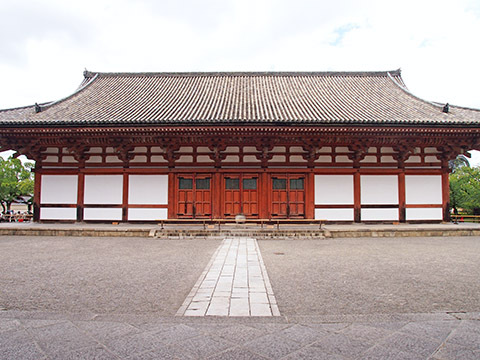 The first of the Kondo hall was destroyed by fire in 1486, it was rebuilt in 1491 of the Muromachi period. 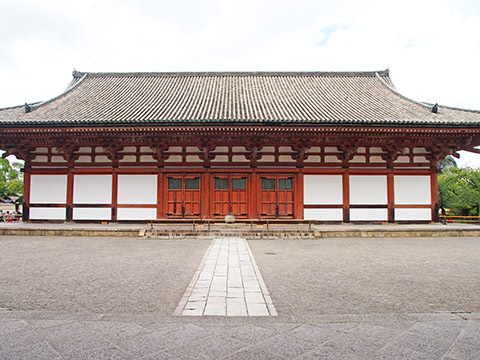 In pure Japanese style in a single layer, and it is important cultural property. Inside, there are Buddha statue of 21 bodies. All of the stutues have been designated as national treasures or important cultural properties.